Vintage girls! A call to arms! 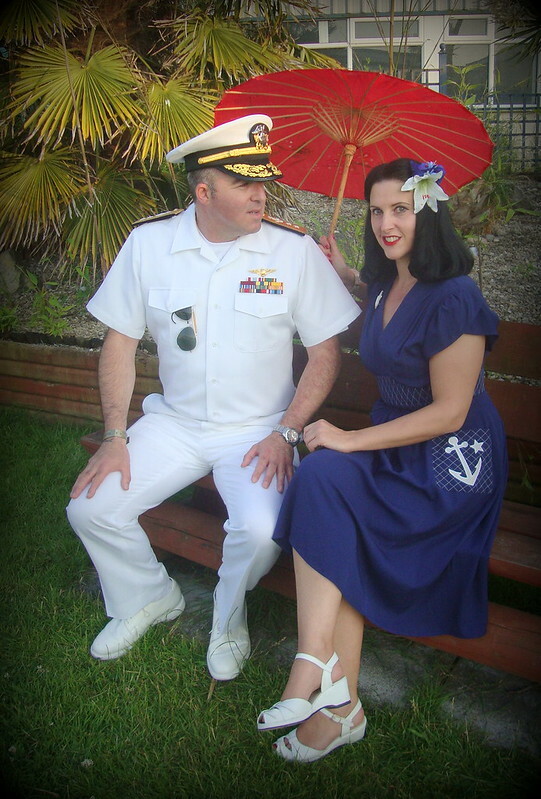 My lovely sponsor and friend Miss Bamboo needs your help. She has reached the finals of the Vintage Manchester Awards and now could do with a final push. Can I ask all my dear readers to take mere seconds out of your day and please vote for Miss Bamboo in said Vintage MCR Awards? You don’t need to vote in all the categories so it is really quick. 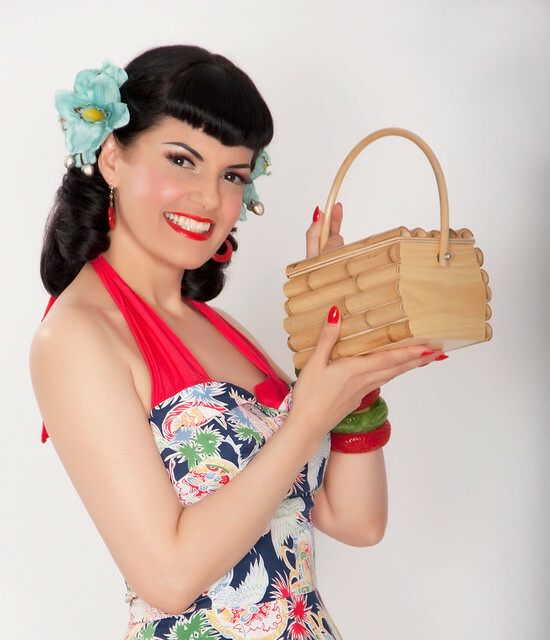 Tiki box bag as modelled by Bernie Dexter… Miss Bamboo’s own line! 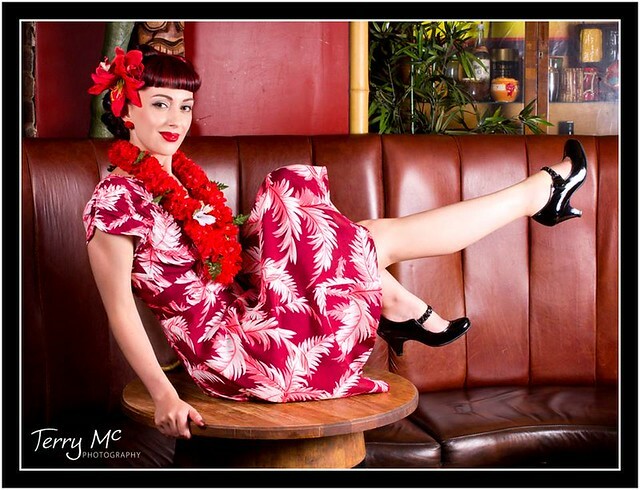 Miss Shanghai sarong and bolero… made by Miss Bamboo and modelled by her too! 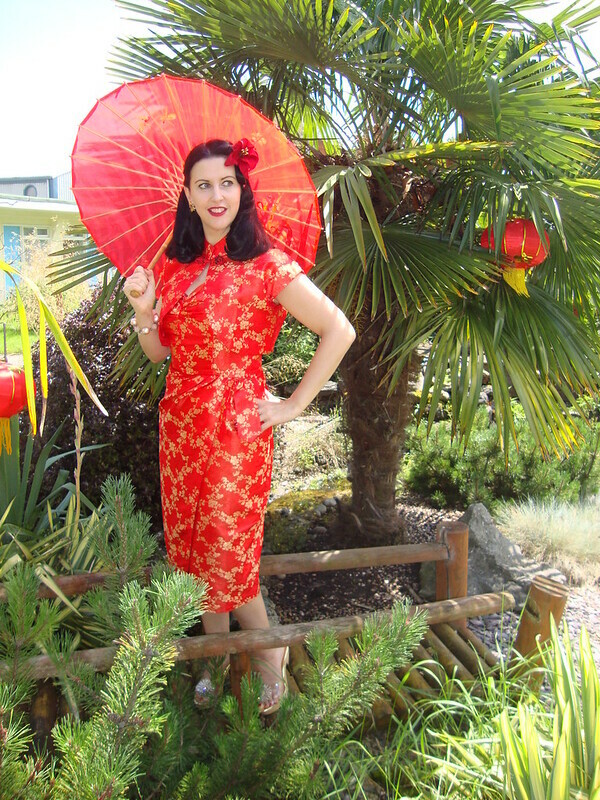 Me in the Miss Bamboo La Bonita! Then my favourite, of course… the Del Rio! Just came across your lovely blog:) Best of luck to your friend. I'll run over to check her out now and vote. First & Third one is good to me. Those are looking gorgeous. Love the first pic so much! Beautiful!